Alabama and Oregon are No. 1 and No. 2, respectively, in the CFP rankings. 1. Atlantic Coast Conference commissioner John Swofford said eight teams would be an ideal number for the College Football Playoff. If that were the case this year and you were on the committee, which eight teams would make the best bracket? ♦ Here would be my eight: Florida State, Alabama, Oregon, Baylor, Mississippi State, Ohio State, Ole Miss, TCU -- but that doesn't matter. I've always thought six teams would be perfect, which would allow the champions of each Power Five conference to be involved in addition to a wild card. It would also reward the top two teams with a bye to the semifinals. The only problem with that? It would take away from weeks' worth of speculation of who was in and who was out. But to me, it's the fairest way, not to mention it gives us two more games and an extra weekend of playoff football. ♦ 1. Tide 2. Quack 3. Noles 4. Stark Vegas 5. Bucks 6. Baylor 7. Frogs 8. Melvin Gordon. Eight is a nice number of teams for a playoff. Single elimination, win three games to win it all -- I like it. If you want to add four more and make it 12, I like that too. Give the top four a bye and throw in some play-in games -- I’m cool with that. Expand it to 64? 68? 72? Great! I do not subscribe to the idea that they play too much. If you love the game, play more games. A four-team playoff is too small. Maybe you’ll have to axe the SEC/SoCon challenge or not take a month between the conference title game and the “bowl” game. Neither one of those things would upset me if they never happened again. ♦ Honestly, my rankings wouldn't change much from the current CFP rankings. I have no problems with the top four -- Alabama should be No. 1, and Mississippi State shouldn’t be punished too much for losing to the Tide. With the next four (TCU, Ohio State, Baylor, Ole Miss), I’d keep the same teams, but switch up the order of Ohio State and Baylor. I’d still have Baylor behind TCU because that West Virginia loss isn’t enough to trump the fact that TCU’s only loss came in a game that could have gone either way against the Bears. But in terms of Baylor vs. Ohio State, Baylor has to get the nod with that Virginia Tech loss lurking for the Buckeyes. Then Ole Miss squeaks in with its Alabama win. Doug Kroll: I'm kind of indifferent on the number, but it might be because I'm still so shocked that we have it. The fans of the fifth team, if it's four, the seventh team, if it's six, or the ninth team, if it's eight, is always going to have a rough week when it's all said and done. Eric VanderVoort: Anything more than eight would get to be too much. As much as some of these out-of-conference game aren't all that interesting, they aren't going anywhere. People were worried a playoff would cheapen the regular season. We haven't seen that with four, but 16 seems like it might. There aren't 16 teams that can win the national championship. Gerard Gilberto: I don’t think it cheapens some regular-season games to expand the playoff a little bit. I just like the idea of playing for a championship rather than being selected. Eric VanderVoort: No matter how big or small the playoff is, someone's not going to be happy. But I'm intrigued by the idea of a six-team playoff. It works for the NFL, why not in college? It rewards the top two with a week off, and can help separate some of these one-loss teams that are so hotly debated. Doug Kroll: Yeah, that's where my head is too, Eric. It would take some fun out of it for the talking heads, but it makes the most sense to me. Baylor would benefit from an expanded playoff. Gerard Gilberto: The only games that are cheapened are the ones that are scheduled years in advance like most non-conference games, which hopefully will be a thing of the past once these schools realize how much emphasis is placed on strength of schedule by the selection committee. Eric VanderVoort: I suppose with every season, depending on how many real "contenders" there are, the ideal playoff size would vary. To your point, Gerard -- I do agree that some of these games that have been scheduled for years could come back to bite teams that are on the playoff "bubble." But the thing about this four-team playoff that I like is that it has greatly accentuated the importance of a conference championship, while a bigger playoff would make winning that less vital. Doug Kroll: Except if you give automatic bids to a six-team playoff. Eric VanderVoort: So five conference champs and one at-large every year? Gerard Gilberto: It will take regular season winning less vital but the idea of playing more one-and-done games in December is more interesting to me than fighting over who the best two-loss team is. Doug Kroll: Yeah, win your conference to get in. That certainly wouldn't cheapen anything during the regular season or conference championship week. Otherwise, you're in a pool with a potential Group of Five team fighting to make it. 2. Alabama and Mississippi State are first and fourth, respectively, in the CFP. If both teams end up in the playoff, would it be best for those two to meet in the semis -- for a rematch -- or have them be on different sides of the bracket where they have to play themselves into a potential rematch? Gerard Gilberto: Four teams isn’t enough to mess around and worry about conferences. First of all, I don’t think there will be two teams in the playoff from the same conference. But regardless, 1 plays 4 and 2 plays 3. You can’t start messing around with that based on conference. If the bracket were a little larger then it would be fine to start worrying about conferences. Eric VanderVoort: Gerard's right, you can't adjust anything based on conference, but if I could, I would much rather see Alabama and Mississippi State play in a semifinal than a championship. Part of the intrigue of a championship game, to me, is seeing two teams that have been the subject of debate all season, and we finally get to decide it on the field. We've already seen Alabama-Mississippi State on the field. I'd rather have two different conferences. Doug Kroll: I think the rematch between LSU and Alabama in 2011 was brutal to watch, but maybe that was more the style of play than anything. I think the best part about the bowl season is getting two teams that never play -- like an Oregon against an Alabama. Rematches are bad enough in conference title games -- I think it would take some steam out of a semifinal. It's the nature of the beast when you have four teams. It's not like the men's basketball bracket where they have rules on when teams from the same conference can finally meet one another. But I agree -- you can't start moving teams up and down based un what conference they are in. The committee has a hard enough time telling the public why teams are where they are. Gerard Gilberto: I couldn’t care less about seeing a rematch, these teams have to beat elite teams from other conferences in order to wear the crown. They decide to save that for the postseason -- that’s fine, but get the good ol’ boys and their woulda, coulda, shouldas out of my face. The most frustrating thing is that this has turned into a problem pertaining to only one conference. Eric VanderVoort: This is a debate that will rage as long as this playoff exists -- should Mississippi State get another chance, when it has already lost once, when TCU/Baylor/Ohio State haven't had that chance to show how good they are against Alabama? There are no right answers here. Doug Kroll: Agreed. In the past, it was always 'it's better to lose early,' since then you'd have a shot at moving back up the rankings as other teams lost to get into that top two. Now? I think it's obviously changed with the human element. 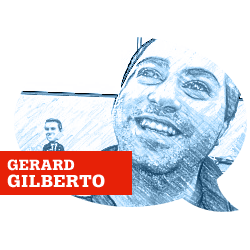 Gerard Gilberto: I’d consider that change one for the better. Teams aren’t owed anything because they’re from a certain conference. 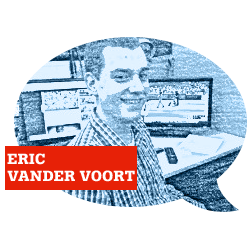 Eric VanderVoort: But Ohio State still has that chance to lose early and come back, while if it lost late, it would probably have no shot at the playoff. It may not be as concrete as it used to be, but I do still think it's better to lose early. Doug Kroll: Yes, still comes back to the resume. Mississippi State was in a position where it could lose late and still have a shot. Gerard Gilberto: The idea behind a late loss is that unless you’re in my favorite thing ever -- the SEC/SoCon challenge -- you’re playing a better team late than you are early. So the quality of team you’re losing too is much better at the end than it is at the beginning. Which is exactly what we're seeing when you compare Ohio State and Mississippi State. Obviously this comes with its own exceptions. Eric VanderVoort: Sometimes. It really just depends on the conference, and here we are back at non-conference scheduling. That's where teams can separate themselves. 3. Marcus Mariota and Melvin Gordon appear to be the front-runners for the Heisman. But who do you think is the most talented player in college football? Eric VanderVoort: Amari Cooper. Is there any player that is more surely the best at his position? I don't think so. The guy has completely changed the way Alabama plays offensively. The Tide need to play to his strengths, and they have done so very well. He's crushing records seemingly on a weekly basis, and don't forget, he's doing it against the best division in college football. He may not win the Heisman, but he's the most talented player in the country. 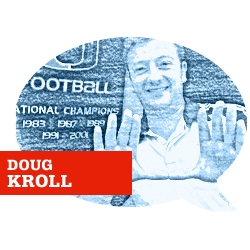 Doug Kroll: I'm such a homer, but Miami's Duke Johnson has flown under the radar. He's been better each week -- averaging 8.7 yards per carry (best in the nation) since Week 5, and has 90 yards on the ground in every game. That's something even Melvin Gordon can't say he's done. Winston has yet to lose at FSU. Gerard Gilberto: Mariota will win the Heisman, Shaq Thompson and Myles Jack playing on both sides of the ball is impressive and Jaelen Strong and Kevin White could give Amari Cooper a run for his money, but Jameis Winston is still the most impressive player in college football. Doug Kroll: Of course you had to go there. I'll give you one thing about Jameis -- the kid doesn't let his team lose. He comes out in the second half of these games as a different player. That's good for something in my book. Eric VanderVoort: Winston leading comeback after comeback has been impressive, sure, but the question was one of talent. Winston definitely has that "it" factor, whatever "it" is. But I'd like to see him put a full game together again at some point. Gerard Gilberto: At the next level, where quarterbacks aren’t allowed to be touched, a QB that stands tall in the pocket will be highly valued. He’s like a Ben Roethlisberger-type quarterback. I think Jimbo holds him back a little bit and he’s actually the wrong type of player for a college offense, but he’s still talented enough to win games -- every time. Eric VanderVoort: If we're talking who is going to play on Sunday, I'll go back to Cooper. He'll make an immediate impact wherever he goes. Gerard Gilberto: Obviously the knocks against Winston are off the field, but that doesn’t diminish the kid's talent. Cooper will be a very strong NFL wide receiver, but the team that wants him the most will take Winston ahead of him. It takes nothing away from Cooper, it’s just that the position isn’t as valuable.